Polymateria are developing innovative “biotransformation” technology that can alter the properties of plastic to make it biodegradable. This would allow discarded plastic products and packaging to break down naturally over time, rather than polluting the environment. The company aims to set a new standard in compostable and biodegradable plastics. Their products are recyclable, and break down only when needed after the product has reached the end of its lifespan. During the visit, The Prince of Wales also met with members of the Cambridge Institute for Sustainability Leadership along with the British Standards Institute and the Waste & Resources Action Programme to understand their views on how technologies like this can help address plastic pollution at scale. Several Imperial-founded startups met with the Prince of Wales, including DnaNudge - who have developed an app that uses shoppers’ DNA to help them make healthier choices while food shopping, FreshCheck - inventors of colour change products that indicate the presence of harmful bacteria, and CustoMem - who are developing a new biomaterial which can capture and recycle hazardous micro pollutants found in industrial wastewater. 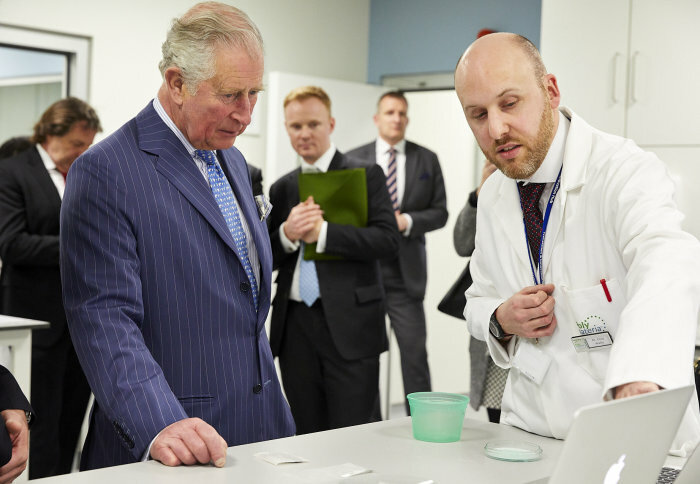 Speaking about the visit, Niall Dunne, CEO of Polymateria, said: “Our team were delighted to welcome His Royal Highness to our laboratories as we share His Royal Highness’s view that so many of our biggest environmental challenges can be better tackled by deepening our understanding of nature. 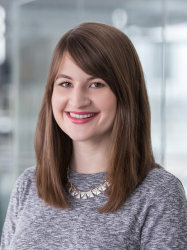 Polymateria’s laboratories are based at Imperial College London’s White City Campus in the Imperial Incubator, which provides office, laboratory space and support for early-stage companies. The 18,000 sq ft incubator, at the College’s White City Campus, opened in October 2016. Since then it has created more than 100 jobs and attracted over £85m of investment. It is based at the I-HUB – a flagship building which aims to drive forward the commercialisation and translation of research and innovation for the benefit of society.